Electrified twang coming face to face with a broad-shouldered acoustic melody. Echoing vocals stopped dead in their tracks by a stoic bassline and pulsating percussion to match. A bouncy, fizzy groove. The constant feeling that we’re galloping towards something new, inviting and worthwhile. 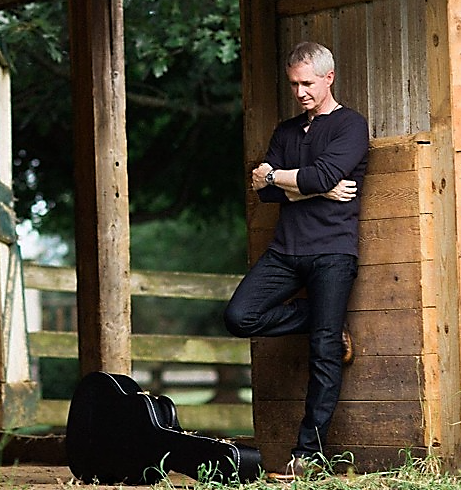 These emotions and vivid textures are realized through the plaintive play and passionate admissions that follow in the pair of new songs that Dave Vargo has released ahead of his second official album – “This Time Around” and “Battle Burns” – in a pre-release extended play. Designed to rally excitement behind Vargo dropping his follow up to what amounted to a critically acclaimed debut, this EP ends up doing so much more than what was originally expected of it. These two songs symbolize a stylistic evolution for Vargo, who has been steadily growing as an artist and songwriter since we were first introduced to him some time ago. That evolution has brought his music and the unique sonic profile that birthed it to a new, fascinating plain of creativity that few artists ever find themselves occupying but all dream of one day reaching. “Battle Burns” and “This Time Around” show off different sides of Vargo’s personality in a way that we’ve never quite experienced before. On the one hand, “Battle Burns” is Vargo seemingly at his most relaxed, footloose and carefree from a musical standpoint, while “This Time Around” feels a bit more like the retrospective dirge that was just begging to be expelled from his system. The two tracks play off of each other smashingly, and as far as I’m concerned welcome us into a rawer, more vulnerable chapter in Vargo’s career that is almost certain to be more accessible and relatable than anything in the last – which is truly saying something if you’ve heard the wonderfully robust music he’s turned out in the past. I get the impression that at this stage in the game, Vargo has come to terms with the artist that he wants to be as well as the artist that he already is, and this is essentially the reconciliation of those two worlds. The results couldn’t be much more fetching, nor more memorable, if I do say so myself. This new EP is a thrilling glimpse for audiences curious to know what is going to come next in the ongoing story of Dave Vargo and his highbrow strain of folk music. I was anticipating a lot out of this teaser, and while I’ve never been much of a fan of that word (teaser), I will say that I feel like I have sampled from something much more stately and indulgent than I even realize presently when listening to these two songs. It isn’t often, if ever, that a singer/songwriter is able to cross the barriers between folk, country and rock without creating at least a little bit of controversy in the process, but in the case of this fierce talent, artistry as we know it has no limits, and Dave Vargo will always do what he does best in being the unparalleled Dave Vargo. We covered Dave Vargo’s Burning Through back in 2017.